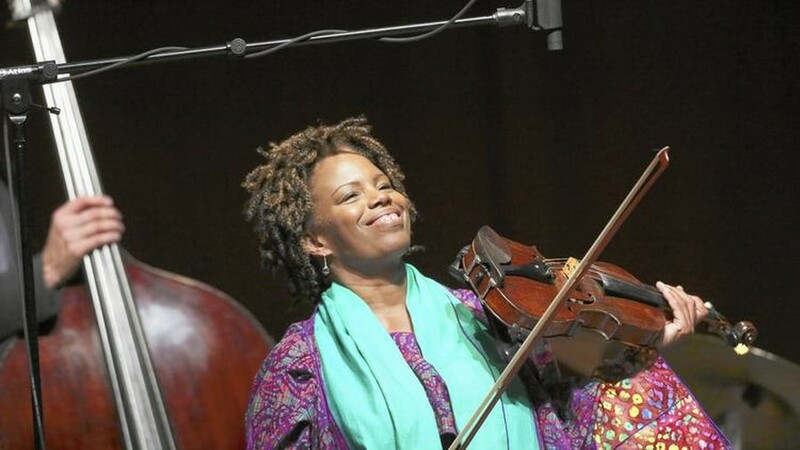 In December 2001, Regina Carter was invited to Genoa, Italy to play on one of the most famous violins in existence: a 1743 Guarneri once favored by the virtuoso Niccolò Paganini. Nicknamed Il Cannone (“The Cannon”) for its explosive, robust sound, the violin is usually only played in a performance once a year by the winner of the Premio Paganini, a violin competition featuring young musicians from across the globe. When news broke that Carter would be performing a concert in the city on Il Cannone, conservative Genoans were appalled. Not only was Carter black—the first black musician to play on the instrument—but she planned to play jazz, of all genres. The epithet didn’t fit her well. With her soft, melodic voice and voracious musical curiosity—the latter of which inspired her newest album, Southern Comfort, a genre-melding delight—it’s easy to see how Carter eventually won over even the most buttoned-down skeptics. Her performance in Genoa was a hit, and she rejoined forces with the immortal Il Cannone two years later to record the classical-jazz crossover album Paganini: After a Dream. As she told audiences during Thursday’s panel, Carter was solely a classical violinist until her late teens, when she was introduced to jazz by classmate and future jazz vocalist Carla Cook. “She would talk about Eddie Jefferson, Miles Davis and Sarah Vaughan, and I didn’t know who any of those people were,” Carter remembered, to the amusement of many in the audience. After Cook lent her friend a handful of jazz violin records, as Carter put it, “That was it.” She redirected her creative energy to jazz, and the rest, as they say, is history. Carter’s classical training is still evident in her coolly controlled, meticulous playing style. Technically impeccable, and possessing an otherworldly amount of musical tact, her artistry is sensational in its lack of sensationalism. Carter’s musicianship—with its effortless tonal purity and razor-sharp wit—demands to be heard, not seen. During Friday’s performance, she was joined by wildly talented partners in musical crime: Will Holshouser on accordion, Chris Lightcap on bass, and Alvester Garnett on drums, and the virtuosic and charming Columbian harpist Edmar Castañeda as a special guest. The production of Southern Comfort, like several of Carter’s previous albums, aligned with a period of self-discovery for the artist. Using ancestry.com and other resources, Carter traced her genealogy, focusing especially on the life of her long-deceased paternal grandfather, Dan John Carter, a coal miner in Bradford, Alabama. Drawing upon the few biographical details she uncovered about his life, Carter researched folk songs men like Dan would have heard living in Bradford at the turn of the century, then recorded improvisations upon those themes in Comfort. Friday’s opener, “Shoo-Rye,” gave listeners a taste of what defines most of Southern Comfort. A riff on an old Southern traditional, the tune was unmistakably country-infused and bursting with instrumental color; Holshouser’s accordion was a definite scene stealer. As the other instrumentalists dropped down to a low pulse halfway through the number, Carter herself provided evocative, almost distant-sounding vocals, surely intended to recall the lamenting workday melodies sung by men like Dan John Carter. Castañeda joined the quartet for the third number, laying into an intricate and pianistic solo that elicited wild applause from the audience. A bouncy and delightful highlight was “Zerapiky,” derived from traditional Madagascan music. Carter, Holshouser, Lightcap, and Garnett covered the tune in their 2010 album Reverse Thread, and the lush addition of Castañeda’s double-handed chords and fluid runs brought an extra jolt of electricity to an already crackling number. Though each individual musician’s chops were spotlighted at some point during Friday’s performance, perhaps most captivating was the way they worked together: the acuity of their musical sensitivity, their deference to one another whenever a solo materialized from the whirling notes of the ensemble, and, most of all, their sheer joy. Flashing cheeky grins throughout, it was apparent that this was a group that loved playing together—perhaps just as much as we would love seeing them at Logan again in the near future.